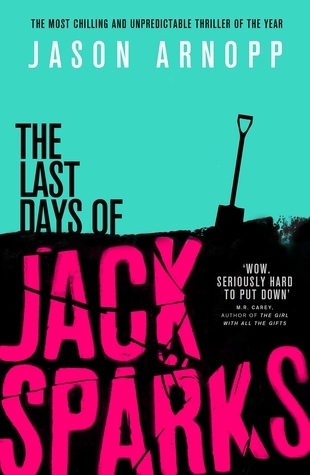 In case you missed it, earlier this month I reviewed The Last Days of Jack Sparks, a book which has shot its way up onto my list of all-time favorite horror novels and is right now easily one of my top reads of 2016. Today, it is with great excitement that we welcome the author Jason Arnopp himself to The BiblioSanctum, because believe me I was practically bursting with questions to ask him about his book! Halloween is fast approaching and if you’re still looking for that perfect read with just the right mix of humor and terror, you need to check it out now. I hope you enjoy our Q&A! Welcome to The BiblioSanctum, Jason! Thank you so much for the interview! No, I insist, The BiblioSanctum: thank you for inviting me! Oh, we could go back and forth like this all day. Indeed, we should just dive in! I’d really like to talk about your new novel The Last Days of Jack Sparks, which completely blew me away. But first, can you give us a rundown of what the book is about, and what prospective readers can expect? Wow, thanks – I’m very glad you liked! The book is about an arrogant celebrity journalist who sets out to debunk the supernatural with his latest non-fiction book, only to end up dead. And on a more pretentious, thematic level, it’s about ego, certainty and belief, and how those three things intersect in the social media age. Oh, and death. But then, most horror stories are. I also learned from your website that you have a background in journalism. Did your professional experience influence you or play any role in the writing of this book? I guess it’s likely I might not have chosen a journalist as my main character, had it not been for my past life in journalism! And it certainly helps, having an intimate knowledge of what your protagonist’s professional life entails. On a practical level, too, working in magazines trained me to deliver to deadline and also work out which sentence to place first in any given newspiece. A skill which can be useful in prose too, when you’re about to embark on a new chapter. What is it about horror that draws you in, and what do you hope The Last Days of Jack Sparks will bring to the genre? 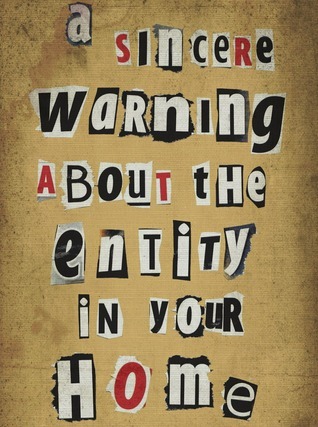 Horror has always been in my DNA, ever since I saw Doctor Who as a kid. The genre is a safe place to vicariously explore frightening and horrendous things, exactly comparable to a ghost train. I do always want to try and bring something new to the genre, as much as you can. Hopefully Jack Sparks brings the odd new idea to the table. 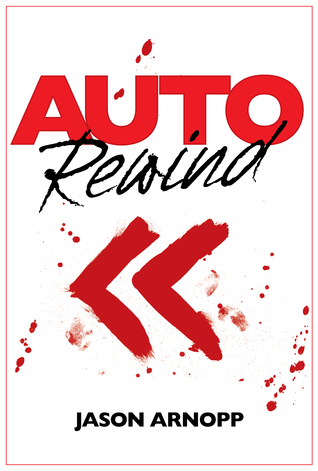 I feel like I know horror pretty well, so I aim for the cutting edge, regardless of whether I actually achieve it! What scares you? And did you incorporate any of the things you fear into this book? As I said, this book is partly about death and what lies beyond (if anything), so that implicitly answers the question of what scares me. I’m not a big fan of death, I have to say. Broadly speaking, I just don’t think it’s a good idea. We should all vote to ban it or something. Seriously, you’d get my vote. I have those exact same fears about death and the unknown beyond! Let’s talk a bit about your main character, the titular Jack Sparks. He’s funny as hell, but not exactly the kind of guy you want to hang out with, or can count on to watch your back. His personality can also be a bit…difficult. When you were writing, what was the greatest challenge about getting into the mind of someone like Jack Sparks? I probably should never confess this, but I found it all too easy to adopt Jack’s mindset. Being an author involves see-sawing between Total Ego Mode (“Everyone must read this masterpiece!”) and Total Self-Loathing Mode (“No-one should ever read this wretched crap!”), so it was nice to let the ego run free for a while in a fictional character. The hardest part was deciding how fast, or how slowly, to reveal what’s going in Jack’s head, while also considering the external mask he’s presenting to the world. Personality layers can be tough to manage. Oh man, that description of the see-saw mindset is hilarious – and captures Jack perfectly to a tee. So in this story, there’s an exorcism in rural Italy. A spirit cleansing ritual on a haunted houseboat in Hong Kong. A psychokinesis experiment in Hollywood. I imagine a lot of specialized research must have gone into the book. What was that like? Did you come across anything interesting? Oh yes indeed! I think the only actual research I did for the exorcism was to find an exorcism prayer. Apart from that, I’ve seen so many onscreen exorcisms that I felt I knew the ropes! 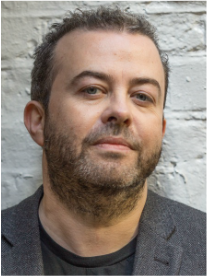 The point of that particular exorcism, after all, was for it to be relatively standard – it’s Jack’s reaction which hopefully makes the scene different. For anything to do with the Hong Kong combat magician Sherilyn Chastain, I interviewed my fine friend Cat Vincent (@catvincent on Twitter), who is a retired combat magician. Plenty of what Cat told me ended up coming out of Sherilyn’s mouth, more or less word for word, which made it all the weirder for Cat when he read the novel! And the Hollywood experiment was based on an actual 1972 experiment called The Philip Experiment, which I had already read up on in the book Conjuring Up Philip: An Adventure In Psychokinesis. Can’t say I’m a big fan of research in general, but all this stuff was fun to learn. Speaking of fun stuff, what are your other creative outlets besides writing? Do you have any hobbies you like to do in your spare time? Do you have any other writing projects you’re working on, currently or coming up soon, that you can share with readers at this point? I’m working on my second novel for Orbit Books, which is a standalone affair unrelated to Jack Sparks. It’s a supernatural thriller in a completely different way. So that’s currently my main focus. 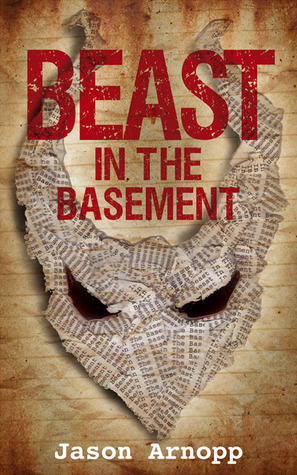 Folks who have chanced upon my work via The Last Days Of Jack Sparks, though, might be interested in checking out some of my previous short-form work like Beast In The Basement and A Sincere Warning About The Entity In Your Home. The former is a surprising thriller novella, while the latter is a short story set in the home of whoever reads it. I definitely will look into these! And I’m so excited to hear about your next project, can’t wait to find out more. It’s been wonderful chatting with you, Jason! Can you please leave readers with three things that they might be surprised to learn about you? Likewise! Hmm, let’s see. I was once held at gunpoint at the Vatican (you can Google for a blogpost in which I tell that story, if you like); I’ve written sleeve notes for albums by Judas Priest, Machine Head and Fear Factory; and I’m a big fan of seagulls, to the extent that I sometimes confront people on beaches who throw stones at them. Just call me Seagull Cop. How’s that? Thank you so much again for stopping by! Where can readers find out more about you and your work? JasonArnopp.com should be your first point of call – lots of info on there and some free downloadable fiction! You can also find me quacking into a void at Twitter.com/JasonArnopp and Facebook.com/JasonArnoppWriter. Thanks very much for your time, BiblioSanctum – much appreciated! Jack Sparks salutes you FROM BEYOND THE GRAVE. Really interesting interview thank you. I’m quite curious about this new novel. What a great interview and now I’m even more excited to read this book. This book is known to me as the one I accidentally preordered on my Kindle and it sounds like I’m glad I did! I’m pleased to hear that he has a new book on the way. Great interview!